The global acoustic insulation market is expected to register a CAGR of around 6% during the forecast period, 2018 to 2023. Europe accounted for the largest market in 2017. Asia-Pacific is expected to register the fastest growth during the forecast period. The rising population, rapid urbanization, and industrialization have increased the rural-to-urban migration, and in turn, have raised the concern of the government to meet the energy demand of this shift of population and to check the noise pollution. Several developing countries and regional organizations, including the United States and the European Union, have adopted policies on energy-efficient buildings, keeping in mind the need for sustainable development. These stringent energy efficient norms for building & construction are driving the demand for acoustic insulation in the building & construction industry. Regulations limiting noise are being implemented by different countries. The regulations and policies by different governments are expected to increase the adoption of insulation materials, in turn driving the market for acoustic insulation. The use of acoustic insulation in the automotive industry is to decrease or eliminate the effects of exterior noise caused by the vehicle, primarily the noise from the engine, exhaust, and tire. Further, automotive insulations have developed high-performance, lightweight acoustic and thermal solutions to reduce the overall component weight of the vehicle. This, in turn, keeps the vehicle in line with the current refinement standards whilst significantly reducing the weight of the insulation system as a whole. Plastic foams, especially polyester, and polypropylene blend materials are usually used in the insulation system of the vehicle. With the global automotive industry growing rapidly due to the growing production and sales of vehicles, especially in the Asia-Pacific region, the market for acoustic insulation in the automotive sector is expected to dominate the growth of the acoustic insulation market during the forecast period. Europe is the largest region for the acoustic insulation market, accounting for a major chunk of the global market. Germany has the largest construction industry in Europe. The residential construction segment is expected to have a moderately high growth. According to the Federal Statistics Office, permits were issued for 72,335 new residential buildings, and approval was given for 12,454 existing buildings. According to industry experts, the demand for new houses is expected to be around 350,000 per year until 2020, which is expected to boost the construction sector. The non-residential and commercial buildings in the country are expected to witness significant growth prospects in the coming years. The growth is supported by the lower interest rates, increase in real disposable incomes, and numerous investments by the European Union and the German Government. The construction market in the country has been growing slowly, mainly driven by the increasing new residential construction activities. Germany is expected to spend more on public infrastructure and increase in investments through public-private partnerships at the municipal level is forecasted. 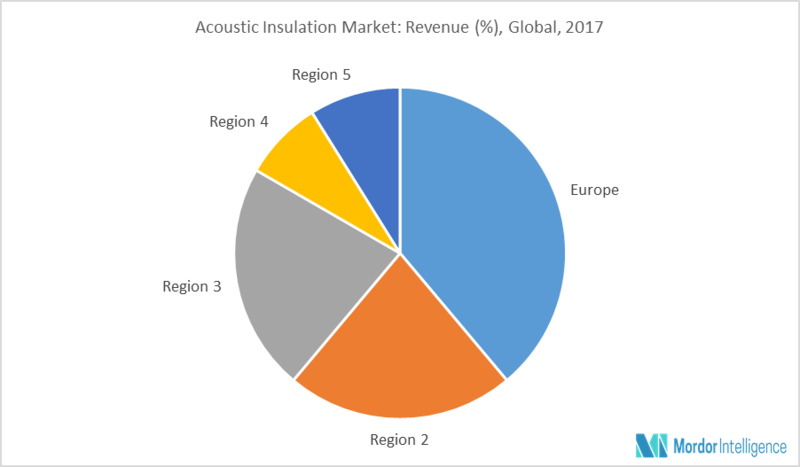 These factors are estimated to boost the demand for the acoustic insulation market in Germany during the forecast period. Owens Corning (includes Paroc Group).